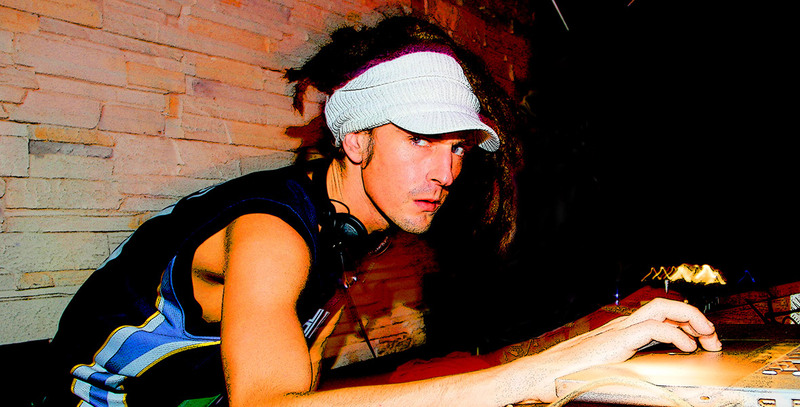 Over the last few years, DJ Erb N Dub’s reputation has grown at a dramatic rate. It’s not in Erb N Dub’s nature to just crossfade robotically between the biggest tracks of the day. Anyone who’s caught one of his scratch-laden four-deck sets of dancefloor destruction knows this only too well. Whatever facet of the craft you look at, whether it’s crate-digging, mixing, scratching, juggling or straight party-hyping, he’s constantly looking to take his skills to ever higher levels. Which is one reason why his UKF podcast smashed download records, and he’s regularly to be found behind the decks across Europe and North America as well as his native UK. And, since 2007 he’s been releasing a slew of weighty tracks on labels like Playaz, Technique and many more plus a top 5 Beatport release with his smasher ‘Moshpit’. He’s been a remixer of choice for a string of artists including Foreign Beggars, Freestylers and Krafty Kuts. His tunes are consistently blowing up raves and airwaves worldwide, with support from Andy C, Hype, Crissy Criss, Grooverider and Drumsound and Bassline Smith to name just a few. Erb N Dub also takes the time to prove his musical credentials in other ways. He’s been honing his craft as a drummer since his schooldays, and now you can catch him as part of the new live act Wicked City, alongside Krafty Kuts and Dynamite MC. Not only that, but 2013 saw him build, from scratch, his 20 20 studio complex in Kent. With such deep immersion in music, no wonder Yamaha chose him for a prestigious endorsement.